In my self-portrait I talk about my attitude because a lot of people say it’s bad. Even though I don’t get in trouble a lot at school, at home I do. For my poster I first took a picture showing a lot of attitude, then I edited it with a red light. For my headline I put ”Care about yourself” because people have to care more about their lives than others. 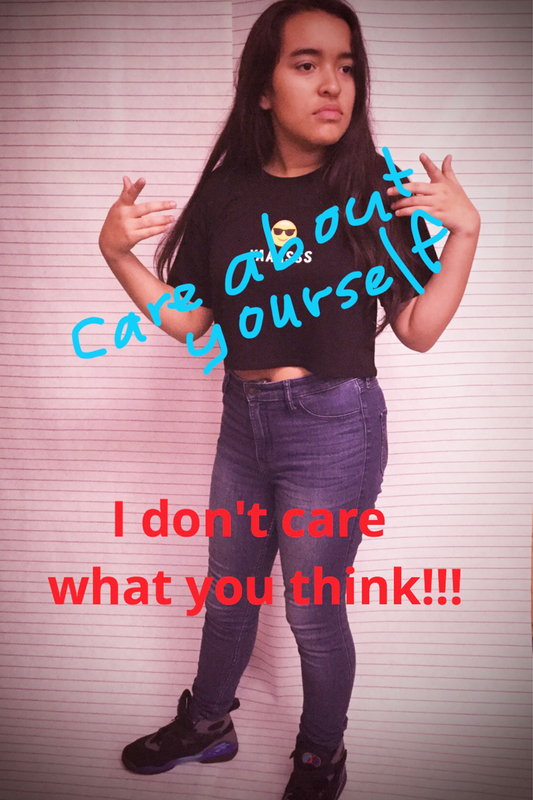 My subheading was ” I don’t care what you think” because it doesn’t matter what others say because it’s your life.